What is the AQwaVit® Water Vitaliser? The AQwaVit® Water Vitaliser is an appliance that vitalises water and adds information to it that stimulates the power of self-healing. The vitalised water becomes softer and healthier and has a better taste. The appliance is suitable for all sorts of water (tap, well and rain water) and all types of pipes. It is very easy to fit and there are no maintenance costs. How does the AQwaVit® Water Vitaliser work? The appliance creates a low-frequency electromagnetic signal that is converted by induction into an electromagnetic field. The water molecules restructure in this field. Old energetic information carried by the water is dissolved. This also changes the taste of the water. How do I know if my appliance works? Every AQwaVit® Water Vitaliser is fitted with a green LED lamp. When the lamp is lit, your appliance works. You will also definitely taste the difference with untreated water. Even during a shower you will feel that the appliance works because the water will feel softer. Does it work in the whole house? Yes. By installing the AQwaVit® Water Vitaliser on the main water supply pipe, all the water in your home is treated. You will notice a difference in the kitchen as well as in the bathroom. The water will be significantly softer and taste much better and you will experience more tranquillity in your home. Is there a guarantee on the AQwaVit® Water Vitaliser? When purchasing an AQwaVit® Water Vitaliser you receive two years’ guarantee. Does the appliance need any maintenance? 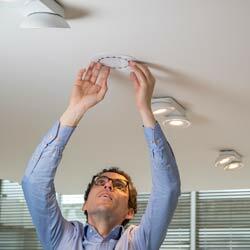 No, you don’t have to replace any filters or clean the appliance. Just check every now and again if the green LED lamp is still lit. Vitalised water gives your body energy because of the high Bovis level. This value indicates the vibration level of things such as food. If food has a level of more than 6500 Bovis, then we can gain energy from it. If the level is lower, then it costs energy to extract nutrition from it. The AQwaVit® Water Vitaliser increases the Bovis level of your tap water. The results are quite spectacular. Whereas the level of normal tap water is below 4000 Bovis, with an AQwaVit® Water Vitaliser the Bovis value of the water and the home environment rises to several million. Your tap water becomes more energized and tastier. The Bovis level in your home will increase spectacularly. Why is vitalised tap water better than untreated bottled water? With an AQwaVit® Water Vitalise your tap water has a much higher Bovis level than water you buy in bottles. Vitalised water is easier for your body to absorb than non-vitalised water. It is also more ecological to drink tap water instead of buying bottled water. And it is much cheaper in the long run, because the price of bottled water is much higher than that of normal tap water. Isn’t purified (distilled) water healthier than tap water? 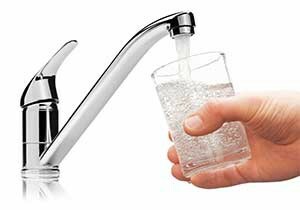 The quality of tap water in industrialized countries is sufficiently high. We have access to drinkable water everywhere. Moreover, water is only recognised as ‘pure’ if it does not contain any other elements. Then it is distilled water, but people cannot live from it as it does not contain enough minerals and is very corrosive. Tap water contains enough minerals. Water supply companies assure us that the quality is equal to that of bottled water. I have a water descaler, why do I need an AQwaVit® Water Vitaliser? Classic water descalers often remove the good minerals from the water and add salt, which makes it less suitable for drinking. 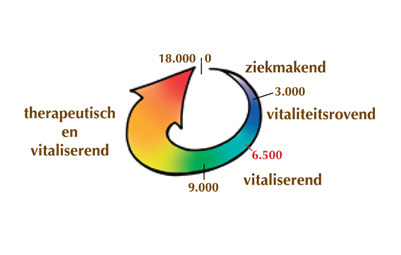 The AQwaVit® Water Vitaliser increases the liveliness or vitality of the water. We recommend that you place the AQwaVit® Water Vitaliser on the pipe after the water descaler. With an AQwaVit® Water Vitaliser you do not really need a water descaler, because there is less than 75% lime scale (see tests) and the limited amount that occurs is much easier to remove. I use as much tap water as rain water or well water. Where should I place the AQwaVit® Water Vitaliser? I live in rented accommodation. Can I take the AQwaVit® Water Vitaliser with me if I move? 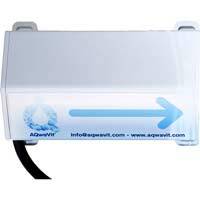 The AQwaVit® Water Vitaliser is very easy to move. Just remove the supply unit from the socket and remove the two tie wraps with which the induction unit is placed on the pipes. Then you can take the appliance with you to another house or on holiday. New tie wraps can be found in DIY stores. I already use Penta Power Tags against the potentially damaging effects of radiation. Do I still need an AQwaVit® Water Vitaliser? Both products are complementary and strengthen one another. The AQwaVit® Water Vitaliser removes old energetic imprints from the water and vitalises it. This vitalised water promotes health, tranquillity and harmony and has a vitalising effect on your entire home and surroundings. In this way you are better protected against different sources of stress, such as e-smog and geopathic stress. The Penta Power Tags transform the potentially damaging effects of different sorts of radiation (e-smog). What is AQwaVit® Industrial Home Cleanse’s added value? The AQwaVit® Industrial Home Cleanse carries out a thorough, additional purification of your home and transforms all sorts of potential loads, both geopathic (water veins, earth radiation, etc.) and metaphysical. The purification level will be maintained in your home since the AQwaVit® Water Vitaliser remains active on your water pipe. What do I need for the AQwaVit® Industrial Home Cleanse? 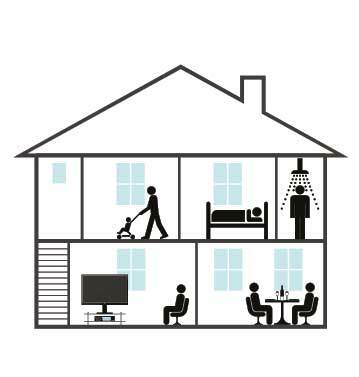 The AQwaVit® Industrial Home Cleanse is a 6-week program. For this to work, you need to place an AQwaVit® Water Vitaliser on the water pipe in your home (this is an appliance that you purchase and keep) and the AQwaVit® Industrial Home Cleanse unit. The latter is an appliance that you hire for the duration of the Home Cleanse cycle. At the end of the cycle, it is automatically deactivated and you send it back to AQwaTech. Can I hire the Home Cleanse unit at a later date? Yes, you can purchase the AQwaVit® Water Vitaliser first and only hire the Home Cleanse unit later. Please keep in mind that due to high demand, there may be a waiting period. When you contact us to order the AQwaVit® Industrial Home Cleanse unit, we will inform you of whether there is a waiting time and if so, how long.